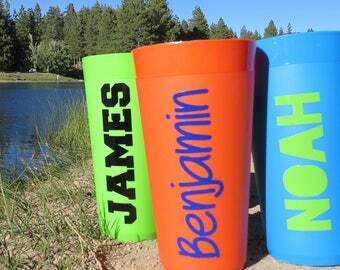 Step 1) Enter the name(s)- one name per decal. Step 2) Choose your font (scroll through listing pictures to view font chart). 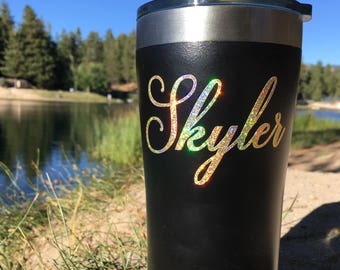 Laptops - YETI/Tumblers - Water Bottles - Windows - Phone Cases - Car Windows - Helmets - Tool Boxes - Mail Boxes - Journals/Binders - Tackle Boxes - Wedding Decor - Wood Signage - Classroom/Office Organization - Business Gifts/Promotions - and MUCH more! Have a logo you want as a vinyl decal? We can do that too! Request something custom or send us a message with you image attached to get started. The size you select will represent the HEIGHT of the decal. (Measures total height- from the bottom of the lowest letter to top of highest letter. Cursive fonts will appear smaller than bold type fonts.) 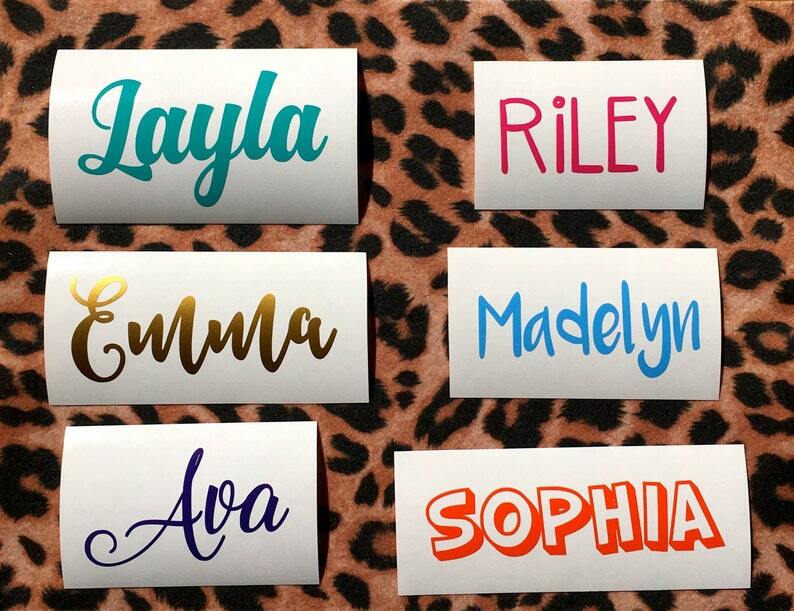 The width of the decal will be determined by the number of letters in your name and the font you select. Please select ONE word/name per decal. Please contact us if you're interested in ordering a decal with a phrase or multiple words. Choose 1 color from the list options (scroll to second listing photo). Choose 1 font from the chart (scroll to third listing photo). Please include in "note to seller" at checkout. If a font is not selected, we will use Font #1. Want a different font that isn't pictured? We can do most any font you would like. If you have any questions about our decals, what they do and won't do, how they work, what they are - anything at all, please send us a message or us the "Request Custom Order" up top. No questions go unanswered and we will reply as quickly as we can. We are here to help. Handmade with love in CA, USA. Came as expected. Easy to use. All sales are final unless there in a error in the delivered product. We work quickly to fix any project defects to make sure our customers are happy. Please refer to our refund policy. Please note that California residents will be charged a 8% sales tax. We do not accept cancellations, refunds or exchanges FOR ANY REASON. Please be sure to carefully review your order form before purchasing. Contact us directly with any questions you may have before purchasing. Any changes to the design must be made within 24 hours of ordering (set sizing, quantity and pricing will remain the same). Digital proofs will only be provided if you send us a direct message and request it. Review your digital proof carefully as we are not liable for errors in a final product due to misspelling, grammar, punctuation, image orientation and size dimensions. We are not liable for delays resulting from the proof approval process. We will not make any changes to your artwork after approval. No refunds are provided for any reason after a proof has been approved and the order sent to cut .Once production begins, the design agreed upon will be made. If there is an error that occurred during manufacturing, Sticky Thingz will send out a replacement for the defective item(s) free of charge (Photo proof is required). Without photo proof, Sticky Thingz will require you to send the package back at your expense. If we determine that the error was caused on our end, we will reimburse you for the authorized shipping expense. Any cost of shipping over the authorized amount will not be reimbursed. We reserve the right to not accept goods for return that have been altered in any way or have been used. If an order is to be re-cut due to an error on your part (i.e., approving proofs with spelling errors, etc), you will be charged for the re-cut. A reduced or discounted price for the reprint may be offered. If a store credit is provided, you will have 90 days to claim your credit. Your custom stickers will be made to order. Our current production time is 1-2 weeks before shipment. Please refer to your order receipt to view the ship by date. Rush orders must be approved by Sticky Thingz before the purchase is made OR within 24 hours of purchasing. We cannot honor rush delivery requests if the customer does not communicate and confirm with us. Please send us a direct message. DO NOT use "note to seller" for rush requests. Please double check your shipping address you provide (if you are using PayPal check there). We cannot offer refunds/re-shipments for orders that are shipped to incorrect addresses. If you realize your address is incorrect after ordering (and before we ship it), please let us know in a timely manner and we'll ship it to your current address. Once the order is shipped, your package is in the hands of USPS and is not our responsibility. Please contact USPS if there are any issues. Our business days are Monday-Friday. Our flat rate shipping cost is $3.99. 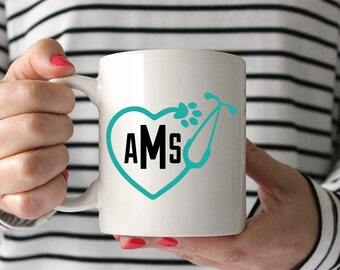 For larger decals (10" x 8" or larger) the shipping rate is $7.99. USPS tracking number included. Can you turn my logo/design/text into a custom decal? Yes! We can and that is our specialty here at Sticky Thingz. Please send us a conversation regarding your ideas and we will respond as soon as possible. Include your desired sizes, colors, quantity, etc. You can also attach your image file to the conversation or email it to info@stickythingz.com. Please send us a conversation regarding your ideas and we will respond as soon as possible. Include your desired quantity, sizes, colors, etc. The higher the quantity, the bigger the discount we provide. In most cases, your decal can be sent without an additional rush fee if it is at least 7 days away from the date it is needed by. If you need your decal sooner, there may be an additional rush fee. Fee depends on how quickly it is needed (due to various shipping fees), and the size of your order. Can you design my decal? You betcha! We offer design services to make your idea come to life. Please send us a message today with your concept and we'll provide a quote.